Treks and Trails and friends meet at Panvel station and took the first bus till Thakurwadi Village from Panvel State Transport Bus Station it was monsoon period. You can hire a Rickshaw though it will be expensive as they will charge you for return fare as well. 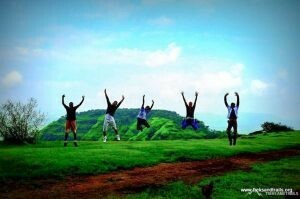 Kalavantin can be seen from Matheran from Lion Heads Point and Others. 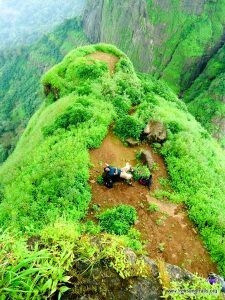 Prabalgad is next to it and you can combine the two treks. 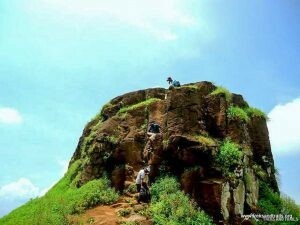 Drinking Water is available at Prabal Machi base village before Kalavantin Durg and Prabalgad Fort. It will take around 1 hour 30 minutes to reach till here you can refill you water bottles here or spend a night in case you plan night stay. Food can be arranged by locals they have started a hotel you can google for information. 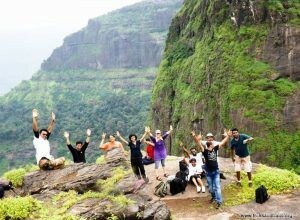 Main attraction to Kalavantin Peak is the climb till Pinnacle. 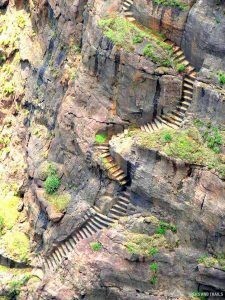 Steps have been carved in the mountain with no protection on one side with exposure. One has to be very careful in negotiating them. For many people trek ends here after looking at the exposure and size of steps. 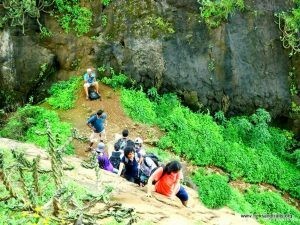 Monsoon time makes it more difficult wind adding to the difficulty after you climb the steps. A small rock patch needs to be climbed a rope will help for beginners. 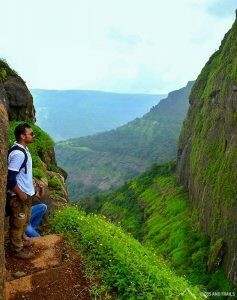 Once you reach the top you can see Prabalgad, Chanderi, Peb, Matheran, Irshalgad and Ulhas River. 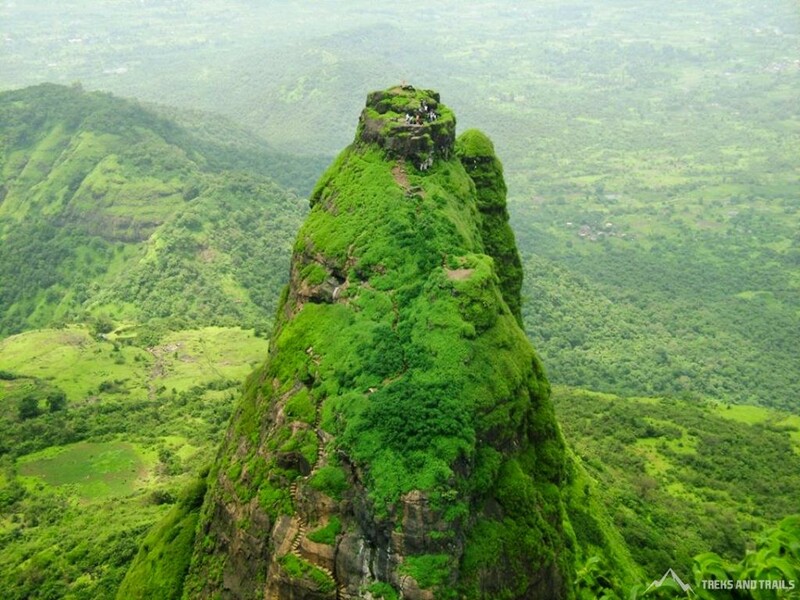 You can ask people going to prabalgad to click your snap which offers a panoramic view of kalavantin durg.